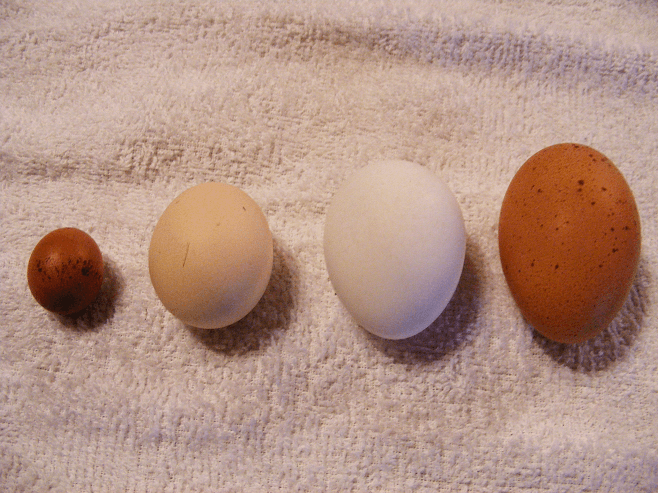 You are here: Home / Egg Laying / How Long Do Chickens Lay Eggs For? 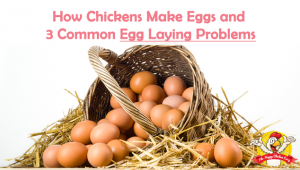 We’re often asked here at The Happy Chicken Coop: “how long will my hen lay eggs for”? 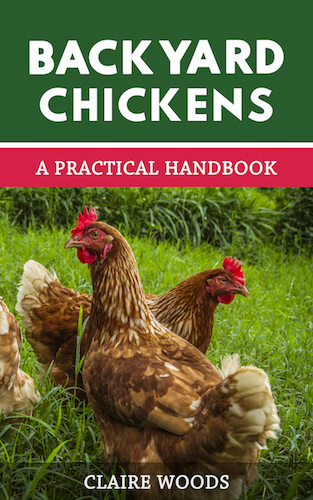 However with that said, we have put together some information and guidelines for you so that you can accurately assess how long your hens should lay eggs for. We are also going to give you a brief ‘bio’ on a few heritage and production hens so you can compare and further research to find a suitable breed for you. A small word of advice – if you get your chicks from a feed store, don’t rely on the staff to know about the chicks. Many of the folks working there don’t know any more about chicks than beginners, so be prepared. The biggest factor which determines how long your hen will lay eggs for is the breed. When you choose your breed, you need to ask yourself a couple of questions – do I want a hen that is a prolific layer for a couple of years, or do I want hens that produce a little less over the short run but lasts longer? Many of the modern industrial production birds are bred specifically to be excellent producers for the first eighteen months to two year period. After this production drops off dramatically. In a production setting, these hens would be considered ‘spent’ and sent for slaughter even though they will still produce some eggs. It is just not profitable to keep them if your bottom line is money. On the other hand, so called ‘heritage’ breeds have been around for years and although shunned by the big egg producers, they are a great type of hen for small scale poultry keepers such as ourselves. Although they may not ‘bury’ you in eggs in the first couple of years, they will keep up a steady production for many years longer. Let’s now compare heritage and Industrial breeds. If you live in an urban setting and want hens that will supply you with eggs for a good long time, heritage breeds may be the way to go for you. With heritage breeds laying for a longer period of time, for me they are the better choice if you want decent egg production over an extended period. I have a variety of heritage breeds in my flock and some lay better than others – it’s very much an individual thing. Ms Crabby, a seven year old Welsummer laid an egg just the other week! Of course, it was probably her ‘egg of the year’, but nevertheless she laid one. So, how long will heritage birds lay for? Again, it’s variable from breed to breed, but most of my girls laid consistently for 3-4 years before I really noticed a drop off in production. Production hens will lay well for a couple of years and then will decline in egg laying noticeably. If you live in the city with livestock ordinances, you are likely restricted to the number of hens you can keep. 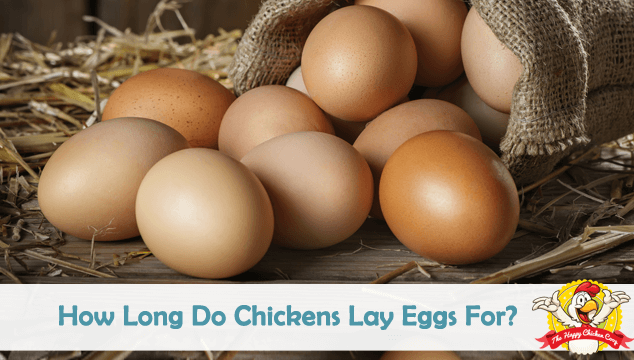 When your hens are done laying, what are you going to do with them? Many animal shelters are finding themselves the recipients of hens that have been given up or abandoned and are overwhelmed with chickens. 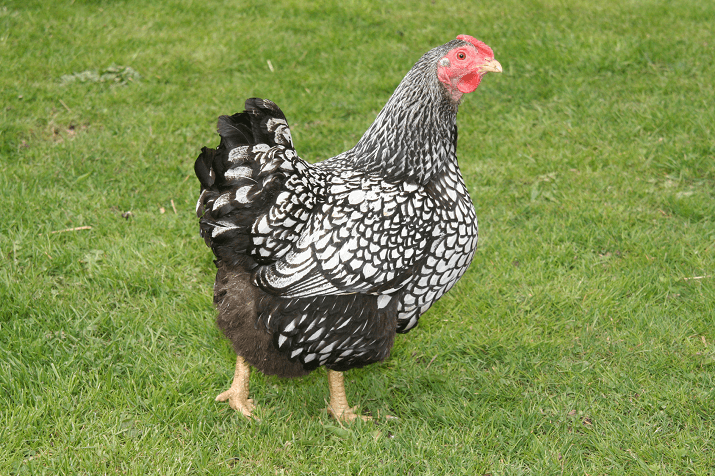 Which heritage breed you choose will depend on what you want from your hen. Do you simply want eggs or do you want to have a bird that can provide both eggs and a decent amount of meat once her laying life is done? The original purpose of ‘dual purpose’ heritage hens was to produce eggs and when done with that, supply a good chicken stew. 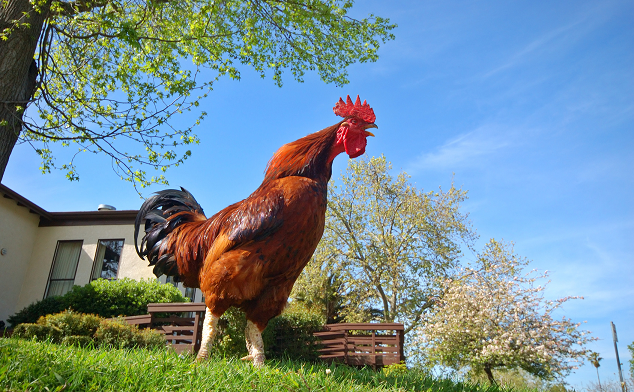 Good egg producers are Rhode Island Reds, Sussex, Barnevelder, Fayoumi, Minorcas and of course, White Leghorns. There are many other breeds out there that produce a good amount of egg per week. In general, the Fayoumi, Leghorn and Minorcas’ are known to be ‘flighty’. They don’t care too much for being handled and can lay their eggs anywhere and everywhere, so are actually better kept confined. As for ease of handling and care, it’s better to stick with the more steady breeds such as the Rhode Island Reds or Barnevelders. In general, you can expect these heritage hens’ to lay consistently for 3-4 years with some slowing up towards the end of that time. Most of these girls will live to around 7 years on average – if they are protected from predators and treated royally, they can last a lot longer! Most, if not all of the industrial production hens are actually ‘proprietary’ brands. These birds have been genetically manipulated (not genetically altered) and refined for increased egg production and increased feed efficiency: the bottom line being minimum input and maximum output. I found it interesting to note the birds were labelled as ‘product’ rather than livestock. Todays’ broiler chicken is four times larger than it was in the 1950s’ and matures in six to nine weeks or so. There is obviously a downside to this fast maturity – with Cornish Crosses they are generally unable to bear their own weight at 9 weeks and may suffer from heart failure. 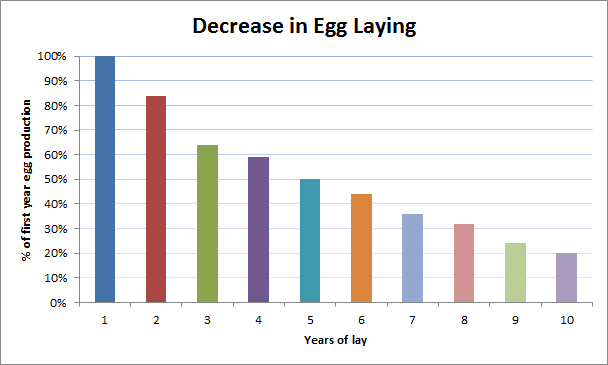 The egg layers mature quickly also and should be laying by 18 weeks – some earlier. There are several varieties out there that are suitable for your backyard being docile and friendly for the most part. To name a few of the more well-known varieties: Lohmann Browns, Black Star, Golden Comets and Freedom Rangers. A laying hen uses a great deal of calcium, protein and calories putting out those eggs for you, so it’s important to feed her well. Layer ration for the laying period should be 16%, pellets or crumbles whichever they prefer. If you have a small flock you may want to ferment their feed, it releases more nutrition and stretches the feed further also. Don’t forget to give them extra calcium – separate from the feed – as with most things too much is also a bad thing. Giving them the correct nutrition is extremely important for not only maintaining their health and vitality, it’s important if you want them to keep on producing. 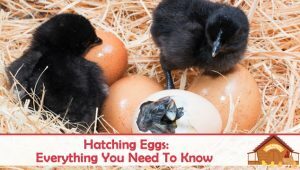 A lack of calcium and other important vitamins and minerals may lead to thin shelled eggs, no shell eggs or other egg laying issues. As we noted earlier not all hens are the same. Some heritage breeds will start laying at sixteen weeks some will start later. Industrial hens can be counted on to start laying at sixteen weeks. Occasionally you will get a hen that just doesn’t seem to lay well at all right from the start. This is usually resolved once the ‘egg machinery’ gets into top gear; but even so, there may be one or two that just never seem to produce well. This is usually a genetic ‘oops’ and little can be done to resolve the issue. If the hen is laying internally, she will likely get egg yolk peritonitis and succumb to the infection. The hybrid hens tend towards reproductive problems a little more than heritage hens. This is understandable since the reproductive cycle is almost continuous in these birds. Heritage birds do suffer from reproductive issues, but it’s unclear if it’s because hens are now living to be much older than before. Health problems associated with ‘old age’ in chickens has not been well studied since it’s only fairly recently that chickens have become so popular. As we promised – no easy, quick fit answer, but we hope this has been helpful in showing you what to expect from the heritage and production hen. The first two years will be full of lots of lovely eggs whichever type you choose, beyond that will depend on the variety you chose and the breed itself. Regardless of which you choose, always try to do some research beforehand. I know how tempting baby chicks are, but if you buy the wrong breed for your expectations, you will be very disappointed. On the subject of baby chicks, if you want eggs, buy sexed chicks – otherwise you may end up with a bunch of roosters who definitely won’t give you any eggs! Do you have a preference: heritage or production? Let us know in the comments section below, we’d love to hear your thoughts. I definitely prefer the Heritage chickens over production as eggs for a longer time period is more important. There are many breeds like the Houdan and Delaware which are dual purpose and are in decline. To help sustain a breed it’s important to choose Heritage chickens. What breed did you get and how old were they when you got them? We have Buff Orpintons and we LOVE them! I am Venesh from Port Elizabeth, South Africa. I prefer the heritage breeds. Currently have 10 white rock hens 2 white leg horn hens 2 black leg horn hens and 3 new hamshire hens. My favourite is the new hamshire , friendly and they lay x large to jumbo eggs. My white rocks lay large eggs , leg horns also large eggs. With 2 girls, our egg supplys are as exciting as the time we spend with them every evening. Thanks for your info, it has helped a great deal. I have only one chicken left out of my little flock. Mae is a white Australian who is 11 years old and still laying, 4 lovely white eggs this week. We live in Sydney, Australia and she has a long break from laying after she goes into moult in our hot summer but always returns to laying late winter. She is still a beautiful chicken who looks half her age! We are getting about 4 eggs a day right now, from 10 Rhode Island Reds. Last evening I watched a hen drop an egg right beside me on the grass, and before I could grab it she snatched it up!! Now we are wondering if they are laying around our property and consuming their own eggs. What should we do?? Does the 3 fingers width test at the pelvic area work when chickens are molting? I know that they don’t lay while molting, but will the width still be there to indicate that they will resume laying after molting? I have a year old White Leghorn that we just adore ! About 6 months ago she was attacked by the neighbors dog An was severally injured on her backside , my husband insisted we put her down but I was adamant about saving my precious Tippy (she got her name for being solid white with a single black speck on the tip of her tail feathers ) anyway with a lot of nurturing an sleepless nights tippy made a full recovery ! All this time she never laid a single egg An would run from our rooster avoiding him at all cost then last week we saw him get to her an 4 days ago my husband found a stash of 3 eggs . 2/3 of the eggs was covered in blood the first was real bad ! The last (from what I figured) had just a speck of blood , my questions are should laying start to get easier for her now ? An should she start to produce fértil eggs soon ? We really hoping for some baby chicks soon . She’s one tough ole bird but I wouldn’t trade her for a million bucks , to me she’s part of our family ! My hen who is about 3 years old now lays eggs without a shell is there anything I can do to help with this problem. My Leghorn makes an announcement everytime she lays an egg. Is that normal for this particular bird?